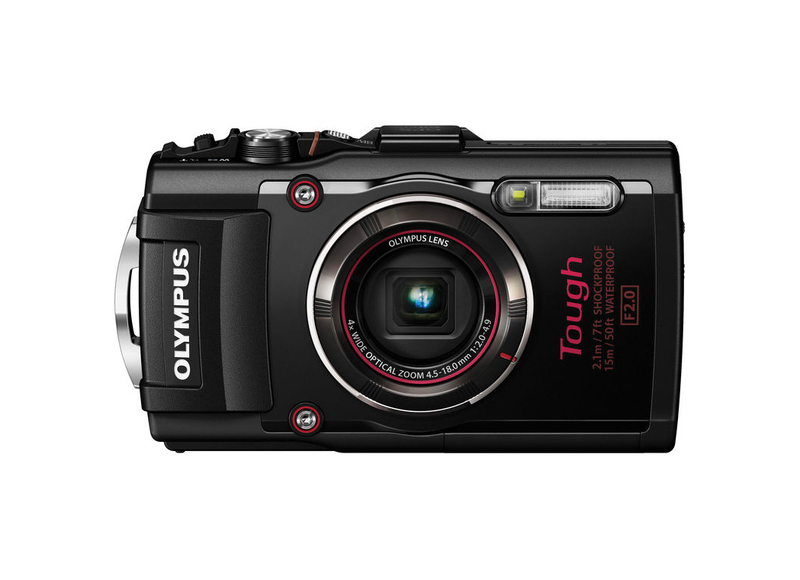 The Olympus TG-4 comes from a line of Olympus’ TG-series of rugged cameras, or how Olympus calls them,“Tough“ cameras. 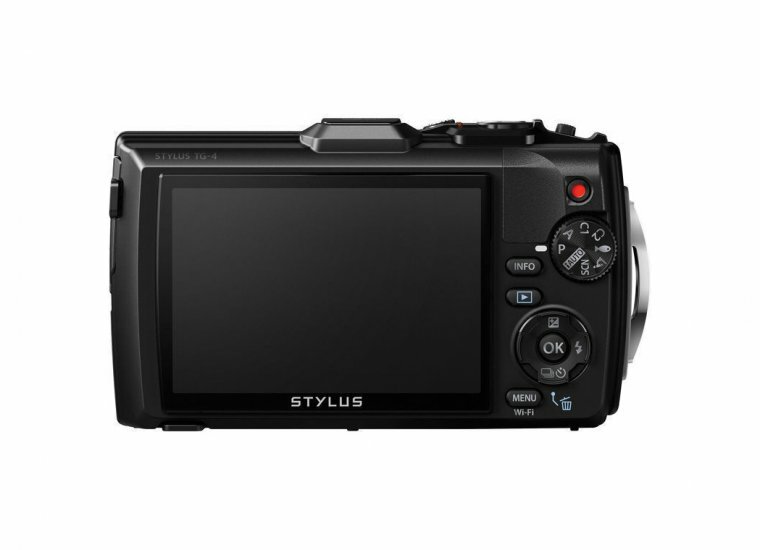 It features a 16MP back-lit CMOS sensor coupled with fast f/2.0 lens. It is water, freeze, dust and shock resistant. There is also a full range of connectivity options, including Wi-Fi and GPS. You will be able to record 1080p FullHD video and take full 16MP stills. As for styling, you get to choose between red and black color. Adding to an already versatile camera is the ability to change lens, or to be more precise, to attach different lens adapters. The original TG was an impressive camera on its own, so every bit of an upgrade from that refines and improves the product to make it overall better. So, does the fourth and latest iteration of this camera have everything you would need from a rugged shooter, and how does it fare against the very crowded market today? We will examine these points in detail, so stick with us. 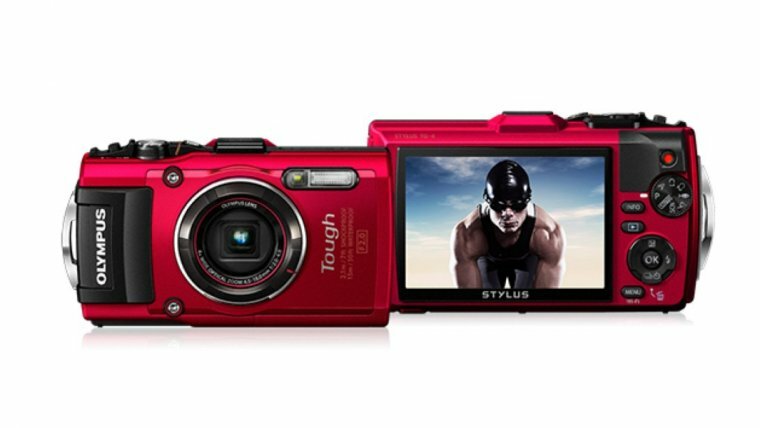 Back when rugged and action cameras first noticed a rise in popularity with consumers, Olympus was among the first with their tough TG-series to enter the then relatively uncrowded market. The original Olympus TG was accompanied with widespread marketing. Commercials were showing off a fun but durable camera, with impressive imaging capabilities for its class, which is also resistant to water, dust, mud, freezing and shock. The TG line showed a lot of success so Olympus continued to upgrade and push for new versions, each of which has so far received positive reviews and market success. One thing to note is that in the camera industry in general, and especially with rugged cameras, companies tend to avoid big upgrades. You will hardly ever see major differences between generations in the same line of products. In the case of rugged and action cameras, this has a lot do with marketing. If they release major upgrades too fast, we could end up with a rugged camera with say, imaging capabilities that rival their own regular cameras in the same price range, which wouldn't be a very good marketing strategy – users would not have much of a reason to buy regular cameras at all. This is the way each new Olympus TG camera featured only minor upgrades. Minor, but not insignificant. When the Olympus TG-2 was released, it offered somewhat of an upgraded design and the ability to mount different lenses and filters. The Olympus TG-3 saw the addition of Wi-Fi connectivity. Finally, in 2015. Olympus released TG-4 which introduced class-first RAW format support along with a new shooting mode, called Olympus Live Composite mode. The TG-4 inherits this feature from Olympus' EM-line of cameras. The TG-4 looks and feels appealing, wearing a modern style with a hint of industrial design. Looking at either black or red version gives out a feeling that what you are seeing is a high-quality camera that means business. One could imagine it being used at sky-scrapping construction sites as much as underwater capturing beautiful scenery while on vacation. Once you take the Olympus TG-4 in your hands, you can immediately feel this camera is built to last. The main camera frame is made of thick metal, with the grip and the frame around the controls made of hard plastic. Parts that are openable that is a door on the side holding the USB and HDMI ports, and another door at the bottom holding the battery and the MicroSD card slot, are sealed by a double-locking mechanism for extra security to ensure no water or dust can get in. All of this allows for some impressive, although not best in class water and shock resistance. Taking the TG-4 underwater, you will be able to dive in down to 15m (50ft) without any additional casing. You will also be able to drop it care-free from up to 2.1m (7ft). In case you decide to go mountain climbing, skiing or on a similar trip with freezing temperatures, the TG-4 will be able to resist temperatures down to -10°C (14F). There is even a measured crush-resistance to a force of up to 980N. So far the only issue we can think of in this body design has to do with handling. The grip is just too small and it being plastic does not help either. The metal finish in combination with a plastic grip makes this camera very slippery. We would have liked if Olympus chose to implement a rubberized grip instead. The front of the camera is recognizable by a seemingly large lens compartment which is positioned in the very center, unlike most other rugged cameras which have the lens positioned more to the top-side. The outer lens glass is protected by a metal ring which is slightly elevated above the lens to avoid accidental scratching of the glass. This ring can and will need to be removed to allow optional attachments. Other than the Xenon flash located to the right and two highly pronounced screws to the left, the rest of the front is clear. The top plate is populated with basic controls; A two-step shutter button, an On/Off switch and a zoom rocker. On the very center of the top plate, we found the GPS/Wi-Fi module. We found it strange that they decided to position this module in the dead center like this as if the user is expected to somehow interact with the antennas. On the other side of the plate, we have a similar story of specially marked left and right stereo microphones. Moving to the rear section you will find a range of pretty standard controls for a point-and-shoot camera. The controls are all self-explanatory, but we will go each of them ever just to make sure we are on the same page. Situated on top, right inside the plastic grip there is a dedicated video recording button marked with red color. Just below there is a dial for choosing between several different shooting modes. Sitting to the right of the screen is an Info button and a Gallery button for pulling information about individual photos and direct access to media, respectively. Below that we have a standard four-way navigation controller which is used for menu navigation but with each button having a secondary functionality for exposure, Flash, Timer, and Burst settings. At the very bottom, there is a menu button which will take you to Wi-Fi and other settings. Finally, the screen sitting on the left is solid 3-inch LCD with 460,000 dots. This provides enough sharpness to review your photos to a decent degree of detail. You will be happy to hear the display is very bright and perfectly usable even in sunny daylight. A touchscreen would have been nice, but that might be too much to expect for the price. The TG-4 comes with built-in Wi-Fi & GPS connectivity, along with a full range of features associated with this kind of connectivity. There is no NFC, but you can still pair the camera with your smartphone using a simple QR code scan. The GPS is turned on by default, and it will imprint GPS data into your images. The camera will know the location of each image you took, along with some additional information such as altitude, depth, air pressure, and direction. All this info is kept within the image file, meaning it will be available for later use once you transfer your images to your computer or online. For example, if you choose to import your photos into Google Earth software, you will be able to see a map of locations of your photo-travel route. Pairing the camera with your smartphone is possible thanks to Wi-Fi connectivity. You can turn on the Wi-Fi by accessing camera’s main menu. Once connected, you will be able to transfer your photos to a smartphone which can then be shared online. Additionally, you will be able to use your phone as a camera remote controller. Using the official Olympus smartphone app, you can take photos, start and stop recordings all remotely. This is a great way of managing time-lapse recordings, for example. To joy a great many enthusiast photographers, Olympus has introduced raw format support for their latest Tough camera. This is perhaps the most significant upgrade between TG-3 and TG-4 cameras. To those unfamiliar with the term, the RAW format is an image format alternative to JPEG. The difference is raw preserves all image information, skipping compressing and post-processing altogether. This way, the user can manually post-process raw files to their liking using computer software such as Adobe Photoshop, which often results in better image quality than that of automated in-camera JPEG images. RAW file compatibility makes this camera a much more serious photography tool, which will appease users who wish to have more control over their photos. 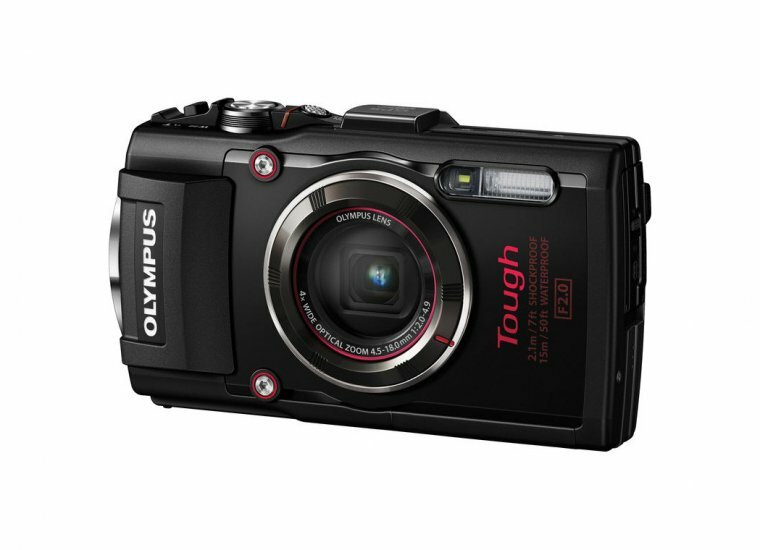 Olympus TG-4 offers interchangeable lens, which is a unique capability of rugged point-and-shoot cameras, making it extremely versatile. Specifically, there are fish-eye and telephoto lens available as a separate purchase. These are waterproof conversion lens, meaning they work as an attachment to the existing built-in lens. Being waterproof they are a great option for underwater wide-angle filming using the fish-eye lens, or some extremely close-up macro shots using the telephoto lens. You might also be interested in other add-ons, such the underwater case which will expand water-resistance to a depth of 45m (150ft), and an underwater strobe which is a powerful flash add-on. Auto – This is a fully automatic mode which gives complete control to the camera overall capture settings. P (Program) – Program is a semi-automatic mode, giving you the option of adjusting some settings yourself, such as White Balance and Flash but taking care of more advanced settings such as Aperture and Shutter speed. A (Aperture priority) – In this mode the camera allows you to manually adjust aperture, while automatically taking care of other settings. You might want to use this mode if you are going after a specific effect for your photo. For example, faster Aperture (Max. at f/2.0) will give you a shallower depth of field and will let more light in, resulting in a brighter image with less noise. On the other hand, if you would like to focus on a distant object, say a landscape, it would be better to use slower aperture. This way you will get sharper details of distant objects. 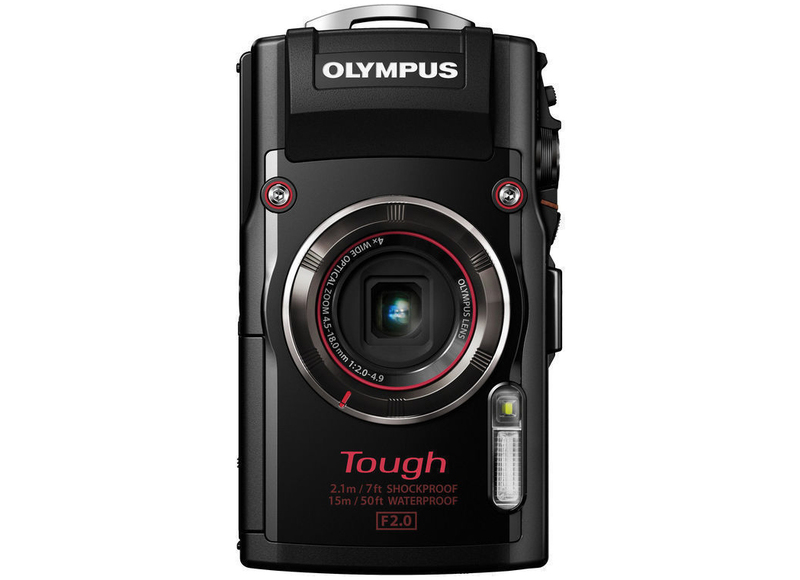 Underwater mode (marked with a fish icon) – This mode was already available with previous Tough cameras but Olympus has now expanded it with additional functionality. 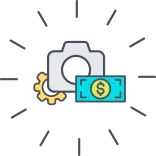 – This is basically an enhanced Macro mode, allowing the camera to focus on extremely close subjects with everything in the distance blurred out. It actually works very well as we were able to get some pretty cool and detailed shots of close-up subjects. Scenes – The scenes mode feature a huge range of different shooting presets which you can use depending on the situation. 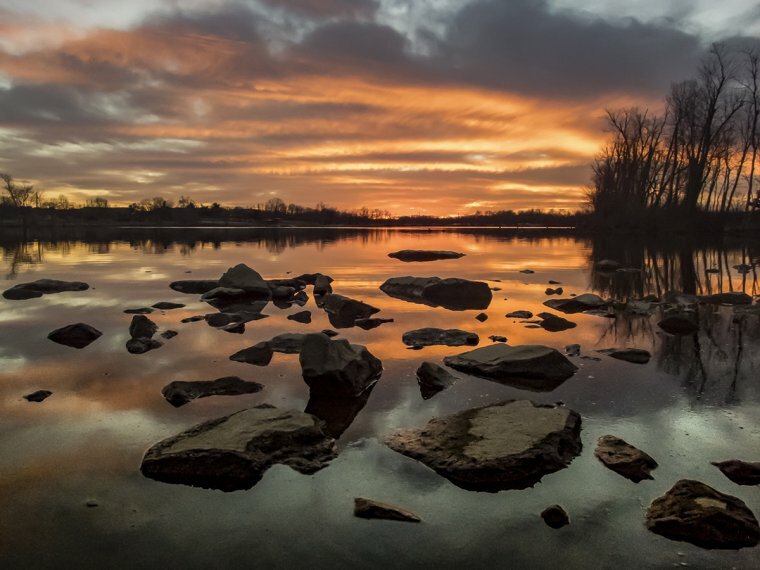 There are modes specifically designed for daylight – these include landscape, portrait, and macro, among others. There also modes for the night, snow, beach, sunset, panorama, etc. Additionally, there are some very interesting shooting modes for time-lapse movies and underwater scenes. The time-lapse mode comes in two flavors; Traditional time-lapse – simply taking a photo at a specified interval for a designated period. There is also a live composite time-lapse mode which only captures moving objects in each frame, while stationary objects are captured only once. This is perfect for shooting star trails on a starry night. 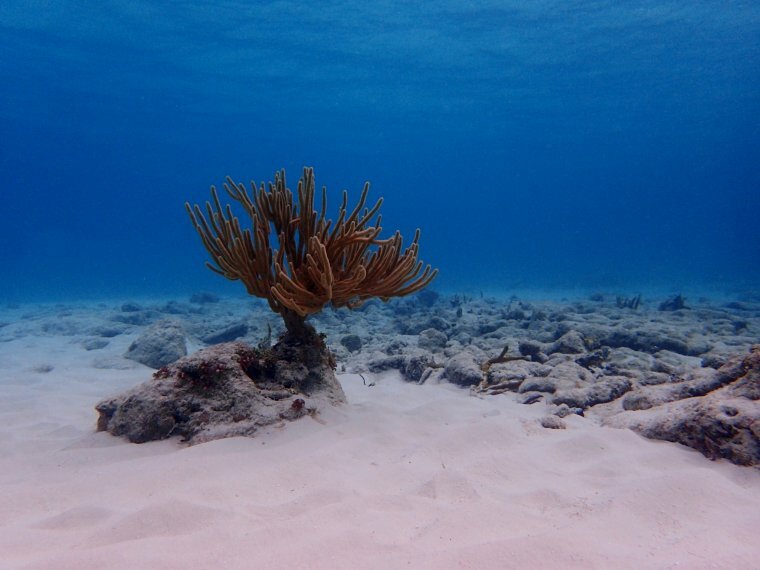 Underwater modes include options such as Underwater Snapshot and Underwater Wide-angle modes which we have seen on previous TG cameras. What is new with the TG-4 is Underwater HDR mode. In this mode, the camera will capture three consecutive still images at different exposures and merge them all together to form a unique underwater photo with a high dynamic range. You should note that this mode is sensitive to movement, so you should hold the camera still as much as you can and only aim to capture stationary objects. There are two types of menus in Olympus TG-4, and both are visible on the LCD screen when accessed via appropriate controls. The main menu is accessed by pressing the MENU button. This menu contains all important camera settings, including connectivity and image settings. It designed rather well and is easy to navigate. There is a sidebar of vertical icons on the left, each representing a certain category of settings. Once you set up everything in here to your preference, you won’t need to access it very often. The secondary, quick-action menu is something you will use on a daily basis, and unlike the main menu which covers the whole screen, the quick-action menu slides in from the right and is transparent. This menu accessed by pressing any of the four-way navigation buttons. Settings here are light, consisting mainly of imaging preferences. You can use it to adjust options such as ISO, White Balance, Flash among others, on-the-go. The lens used in Olympus TG-4 are high-quality glass, also used in the likes of Pentax WG-5. This lens is considered top-of-the-class and features impressive specifications for a camera of this type. We are talking about a focal length range of 25mm – 100mm (35mm film equivalent) with an aperture of F/2.0 – F/4.9. When wide open, this aperture is perfect for low-light photography and will mean a great deal for underwater shots. Granted, when fully zoomed the lens aperture falls to mediocre F/4.9 which is a bit more problematic for shooting in dark environments. However, if you purchase the telephoto zoom conversion lens, you should be able to avoid the slow aperture while still gaining some zoom capabilities, although not the full zoom range. At 25mm, the field of view will be reasonably wide and appropriate for capturing underwater or other natural scenery, but also for all-around photo snapping. The focal length of up to 100mm translates into 4x optical zoom. Zooming in and out does extend the lens outwards, but all the movement happens internally, inside the glass, which adds to the compactness of this camera. The Olympus TG-4 offers above average, or very good general performance when compared to other cameras in its class. Parameters to consider include how long does it take for the camera to power on and take a shot, how quickly is AF able to focus and how many photos can it take per second (frames per second) in burst/continuous shooting mode. Startup time is quite fast, and total time it takes to power the camera and take a photo is less than 1 second. Shooting at full resolution JPEG format, you will be able to take five frames per second (5 fps) in burst-mode. This is possible due to a very low shutter lag. Continuous shooting is not possible with raw format. Buffer capacity is rather large as well, with a maximum of 100 shots. There are also options for shooting at an even faster burst rates, up to 60fps, but at lower image resolutions. Autofocus (AF) is extremely fast and accurate in daylight and reasonably good in low light. We’ve found the TG-4 can successfully acquire focus faster than most, if not all other rugged cameras, especially during low-light situations such as poorly lit indoors, night time or deep underwater. We were happy to see Olympus has included its Sensor-Shift technology to stabilize the sensor against vibrations. This allows for slower shutter speeds during low light photography, which in turn enables you to avoid high ISO levels and image noise. This is the area where the Olympus TG-4 might fall short of some of your expectations, dependent on how high they are. While general camera performance, such as that of AF performance, as well as the quality of the lens, plays an important role in capturing quality photos, pure image quality is mostly dependent on the quality and size of the sensor, as well as in-camera processing algorithms. The sensor inside the TG-4 is a standard point-and-shoot 1/ 2.3-inch backlit CMOS sensor. This is a relatively small sensor and as such, cannot be expected to produce image quality comparable to that of enthusiast-level cameras like Mirrorless or DSLR. It captures 16MP photos which might sound pretty high and good but is actually part of the problem in this case. Having that many pixels in a small sensor are counter-productive, because individual pixels come out too small, resulting in increased noise levels. JPEG processing algorithms in the TG-4 tend to smudge fine details due to overly-aggressive sharpening and noise reduction which is applied. You might not notice this while normally shuffling through your photos on a computer or the web, but if you decide to zoom in, crop or print the image, this issue can come into focus. Shooting in raw and post-processing the images manually later can significantly increase final quality. Using software like Adobe Photoshop you will be able to increase detail sharpness as well as increase brightness of shadows, and at the same time reduce noise to an acceptable level. Positive effects of manual raw processing can be seen even at ISO100. Speaking of ISO, you will be able to choose values ranging from ISO100 to ISO6400. However, we wouldn’t recommend going above ISO3200 as the noise and detail degradation becomes too destructive. Color reproduction and white balance are both generally satisfactory. You will get punchy, colorful images which are pleasant to the eye. Photos are also generally well-exposed, although the dynamic range could be better. To conclude, quality of images coming from the TG-4 aren’t overly impressive but aren’t really worse than those of any point-and-shoot camera in this class. If you are an enthusiast photographer looking to publish your photos with a more serious tone, then certainly, we would recommend shooting almost exclusively in raw, as manually adjusting raws will produce much better results than that of JPEGs produced by the camera. The TG-4 is able to record Full HD 1080p video at up to 30fps. These are pretty mediocre specifications by today’s standards and we would have liked to have at least 1080p @ 60fps for some level of slow motion effect. Image quality in the video is good enough, and the AF is rather quick to recognize the scene and to focus accordingly. Unfortunately, the sensor shift stabilization used for stills is not available in video. Instead, the video is using digital stabilization which is not nearly as effective in combating movement and vibrations. Much like photos, video in the TG-4 is very impressive for macro videography. The Olympus TG-4 Tough camera is an extremely versatile underwater rugged camera, featuring an industrial but a stylish design a the same time. The main camera case is made out magnesium alloy metal with hard plastic parts. Given that one of the main selling points of the TG-4 is underwater photography, Olympus has made sure to include appropriate specifications to get the best out of this type of images. We have a very fast f/2.0 lens, optical image stabilization (Sensor Shift stabilization), 4x optical zoom (25mm – 100mm equiv. focal length) and a Macro-friendly 1cm minimum focusing distance. Olympus has pleased enthusiast photographers with the introduction of RAW format, allowing for manual post-processing of photos. There is a range of useful accessories available for those who would like to further extend capabilities of their TG-4. These include attachable conversion lenses such as wide-angle fish-eye and telephoto zoom lens. Coming over from the TG-3, we have a full range of connectivity options covered, including GPS and Wi-Fi. NFC is missing but the camera is still easy enough to connect to a smartphone via a QR code. Unlike its build quality and excellent performance with AF, image quality is not that impressive. You will not will any photography competitions using photos from TG-4, but will do fine for casual usage such as for social media sharing. If you do want more out of your photos, you can still do fine with the TG-4 if you shoot in raw format and fine-tune your photos later using computer software. Olympus TG-4 is an excellent choice for users who want a decent camera that can take a lot beating, resistant to winter, dust, and frost. Adventure enthusiasts will also be pleased with this camera as it offers a high level of versatility, both in-camera and through different accessories available for purchase. Serious photographers whose primary concern is pure image quality should consider a higher-end camera with a larger sensor. Otherwise, the TG-4 is a very reliable, fast and a capable camera.